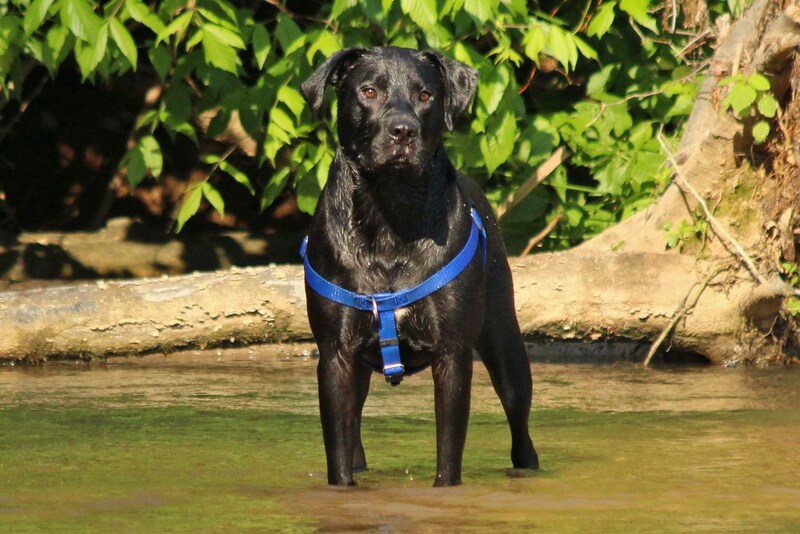 We took Tucker for a river romp this morning. 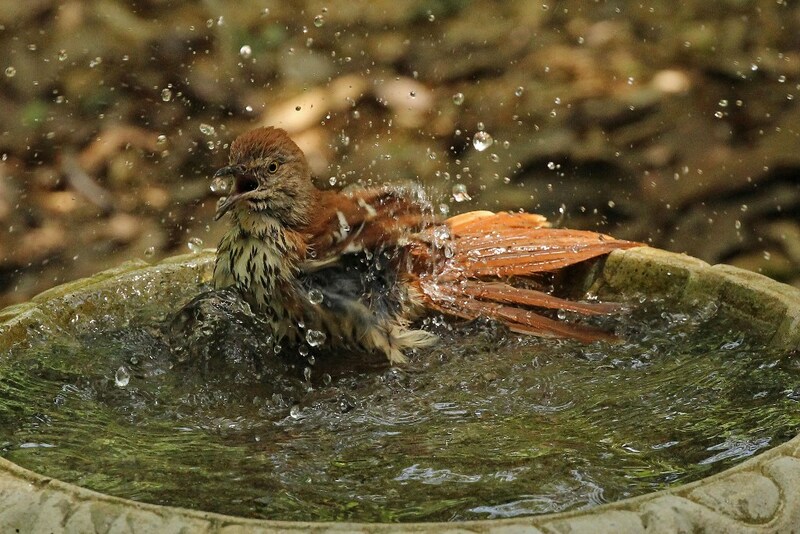 This guy sure loves a good splash! 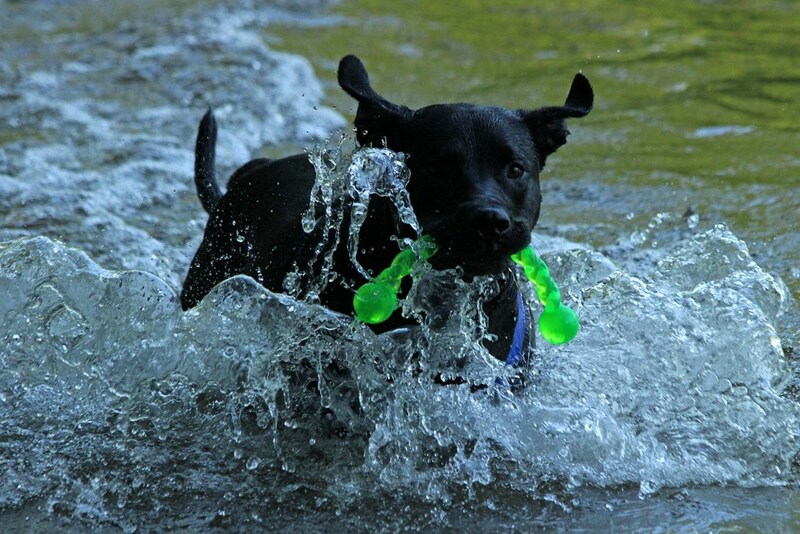 The river (or a lake…or a fountain…or a puddle) is his happy place. And it’s easy to make friends when you bring toys. I had to laugh at this picture because my hubby has always been the Dad that all the neighborhood kids wanted to play with. I guess some things never change! 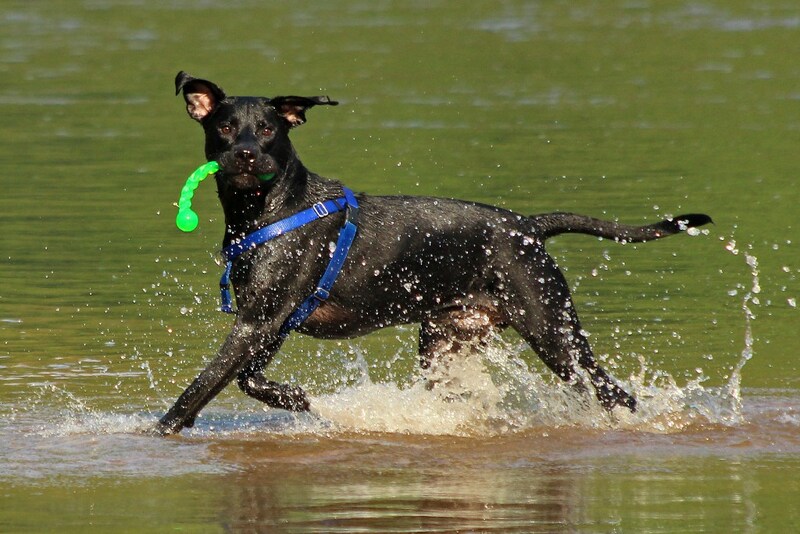 But Tucker isn’t the only one who enjoys getting wet and making waves. 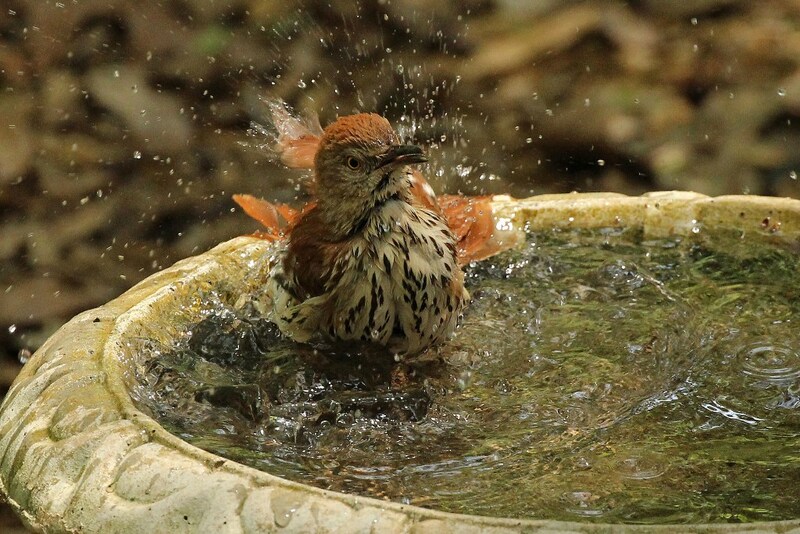 This Brown Thrasher took advantage of the recently filled birdbath to freshen up his feathers, which – if they are like everything else in Georgia – were probably coated with pollen. 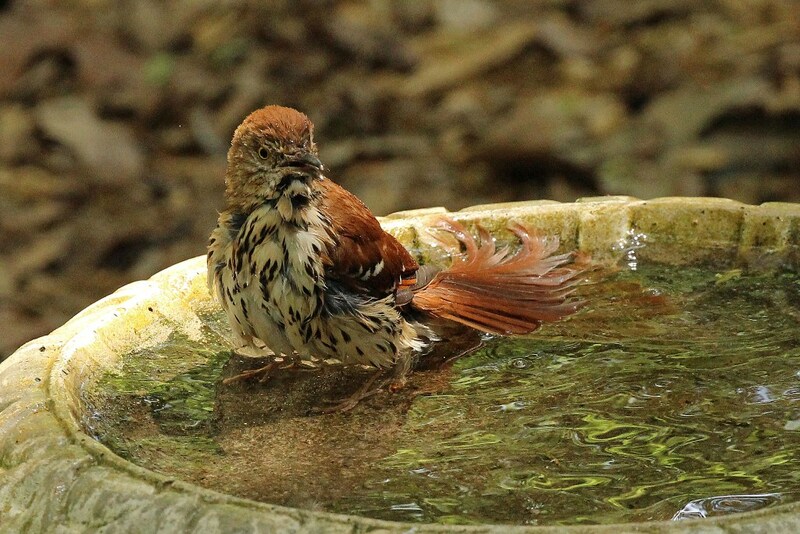 He stayed for quite awhile, soaking and splashing and giving any other bird that came close an open-beaked, only room for one, type expression. 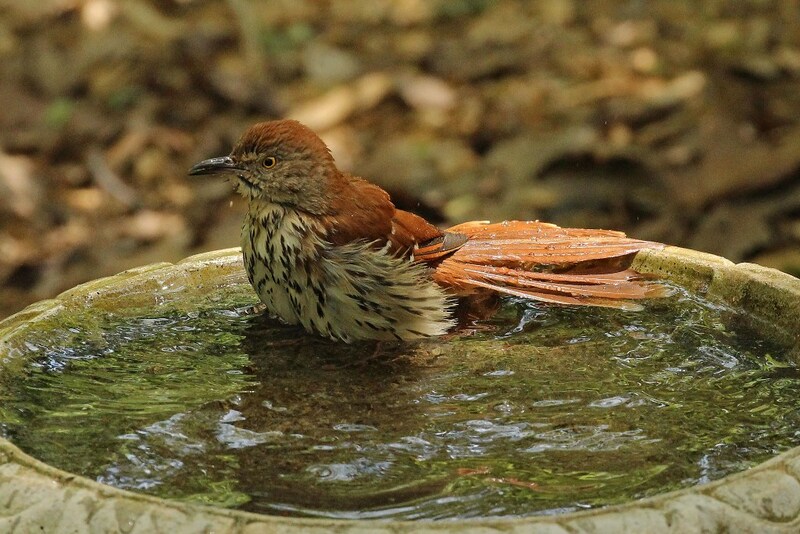 It’s good to be a Lab-loving Birdnerd! 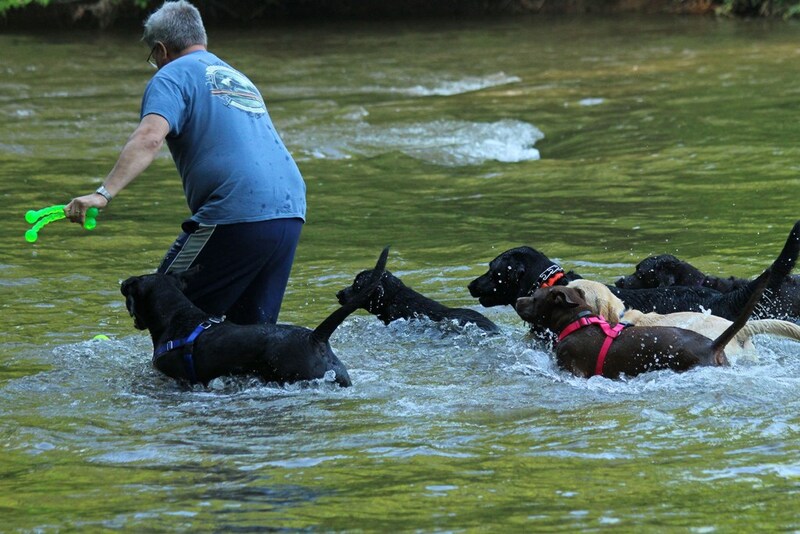 This entry was posted in Backyard Birds, Lab Life and tagged birds, chattahoochee river, dogs, hiking, hobbies, labrador retrievers, photography, recreation. Bookmark the permalink. Great post Kathy – not only the pictures but the narrative as well. Envious of your warmth and sun (though not the pollen as I have Spring allergies, despite being an immunotherapy for decades for hayfever, pollen, etc.) We’ve had a rainy weekend, 3 inches of rain in less than 36 hours and 3 thunderstorms to boot. Mother’s Day will be soggy as well – maybe next weekend will be better. Here’s hoping for warm, dry, low pollen weather to head your way! I hope so too Kathy – enough of this dismal and drizzly weather … first rain-free day will be Thursday! Tucker has matured beautifully Kathy. What a handsome guy! 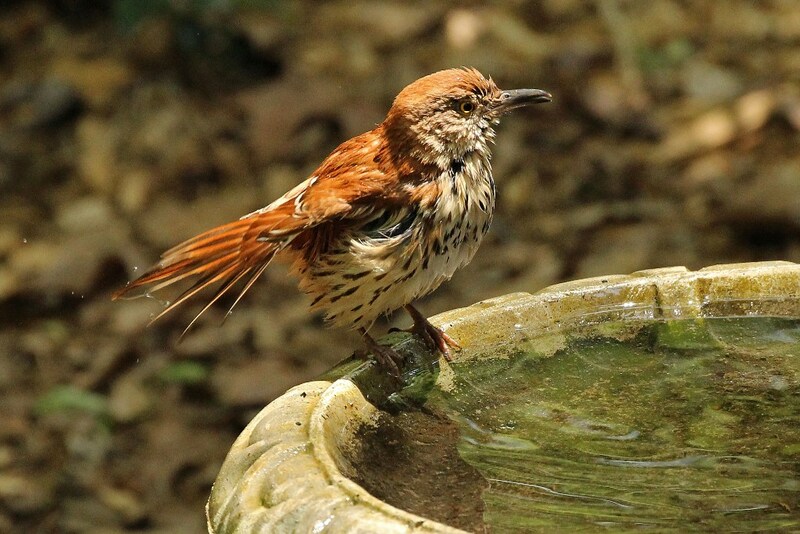 And that brown thrasher was a real treat to watch. I think Scarlett and Tucker would be great friends as they seem to love water similarly. He is a quirky, beautiful beast…and he would adore Scarlet! To you as well Kathy!! 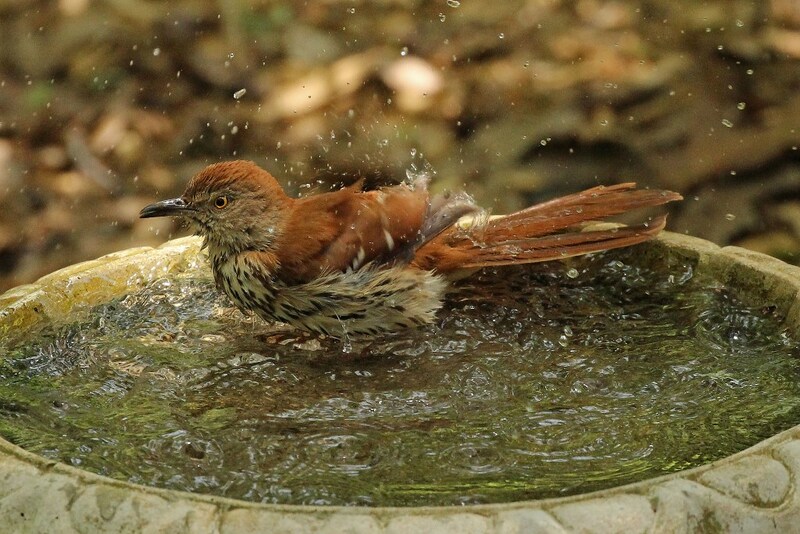 Wonderful photos of Tucker and the thrasher!